Therapy does not have to be a hard slog through endless emotional mire. A creative approach to therapy shows a "way out" of emotional pain that can sometimes be fun, intriguing and inspiring. Most people who work with me are big dreamers who aspire to a vibrant life, yet something hidden within is holding them back from fully expressing their fullest potential regarding emotional, mental or physical health, career or relationships. I offer compassionate one-to-one talk therapy by phone or video to support you to get in touch with the hidden and neglected parts of yourself that need to be seen, loved and integrated into present time, so that you can discover inner peace, self-love, good health and success. If you do not enjoy talk therapy consider "Creating Art in Your Session" for some one-to-one creative time with me! We all suffer with emotional pain to some degree. I approach emotional healing with a creative mind. I support people to discover the roots of life's troubling dilemmas, handle life crises with fresh inspiration, and find life purpose and meaning. 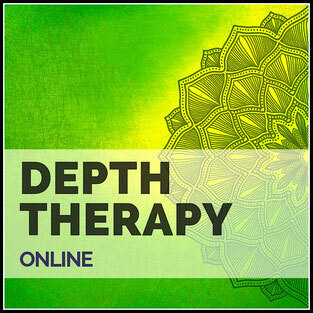 Depth therapy offers the practices of mindful somatic attention, self-loving ways to process emotional pain, positive goal setting, innovative wellness practices, and inspiring tools for cognitive and emotional re-patterning. My therapeutic framework gently explores six principles of emotion processing: (1) awareness of emotion, (2) emotional expression and release, (3) regulation of emotion, (4) reflection on beliefs created from past experience, (5) transformation of emotions, (6) corrective experience of emotion through new lived experiences in therapy, and out in the world. I am trained in transpersonal psychotherapy, and my therapeutic framework holds a "wisdom container" that is large enough to explore how everything that you think, feel and experience has a deeper meaning that is inscribed for your growth. 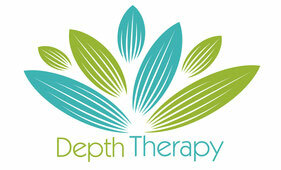 For more information please visit my therapy website HERE. It is often difficult to understand how to heal our painful emotions alone. It is tremendously helpful to be compassionately and intuitively witnessed in our emotional pain. And, life always provides such such great feedback about what is emerging right now for emotional healing. Difficult relationships, career and money struggles, health and other life challenges provide the clues. Parts of our emotional world that feel unseen and neglected create disturbances in health, career, and relationships. We emotionally heal when we learn how to love all parts of ourselves. With love and compassion, we can discover and heal the roots of what you are struggling with together. *Note: I offer 2 & 4 & 8 session packages for reduced fees HERE. "During one of our first sessions, I remember telling you that I was just feeling lost - not like myself at all - that I had lost my sparkle. The uncertainty of all of the changes that I have been going through had really rocked my perception of myself and the world around me. I am happy to say that I feel like I do have my sparkle back and I am much more comfortable in this incredible world of uncertainty. I realize that I am a work in progress and I am so grateful to have had an opportunity to share a little of this work with you. You have been such a blessing in my life. Thank you." "I was very troubled and not feeling well. I feel it is very important for me to look back and revisit my notes from our visits in order to better understand what the combination of factors were for my unhappiness so I can best avoid repeating the state I was in. I've also learned that I shine when I am creatively engaged. It's my best medicine and should always be my medication of choice going forward. The connection to healing and expressing through art has truly been a lifesaver for me and gives me the peace of knowing that I have the tools, ability, and support to be my best and intended creative self. Thus, a life fully lived! Thank you!" "Just as a burning fire inherently exudes heat, the unconscious inherently generates symbols. 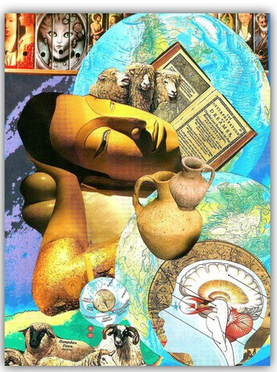 It is simply the nature of the unconscious to do so. As we learn to read those symbols we gain the ability to perceive the workings of the unconscious within us. This ability to produce symbols affects more than just our dreams: All of human life is nourished by the flow of symbolic imagery from the wellsprings of our unconscious."